It’s that time of the year again for holiday festivities on the Hill. 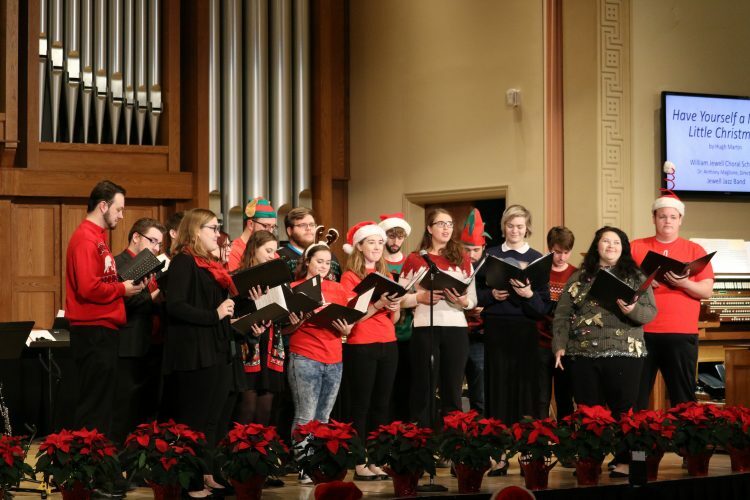 Amid all the work, it doesn’t seem possible that the end is near, but the calendar date and the start of the William Jewell College holiday season are reminders of the holiday lights at the end of the tunnel. Many of the holiday festivities on the Hill are long standing Jewell traditions. The first event is Hanging of the Green, which was Wednesday, Nov. 30 during Jewell Time. This event started in 1965 as a jazz concert and has evolved to include much more. There are choral, handbell choir and jazz band performances, as well as student caroling. As a student leader, I was able to be part of this event and help “hang the green.” I remember attending this event my sophomore year thinking I would never be in this position. Although not a huge fan of singing Christmas carols, I always enjoy listening to the Jewell choir and band. Arguably one of the most loved Jewell holiday traditions for over 30 years, Lighting of the Quad is to take place tonight, Dec. 1, at 7 p.m. 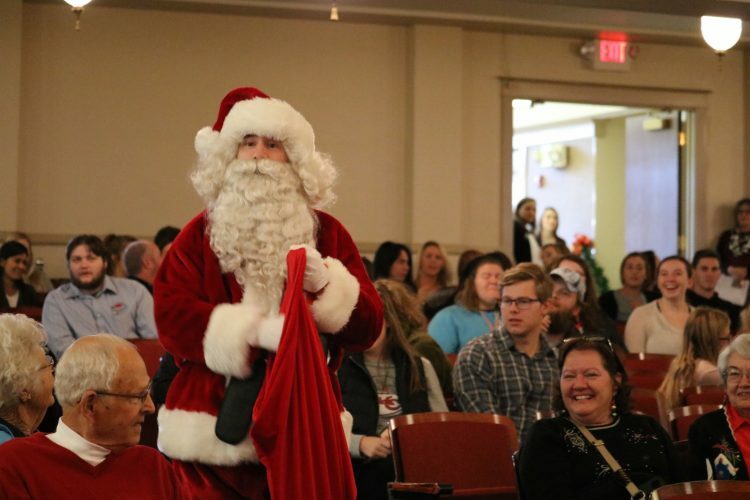 This event is one of my personal favorites, from standing outside huddled together like penguins to trying not to drop candle wax on the grass to drinking hot chocolate at reception in the Yates-Gill Union to taking pictures with Jewell’s own British Santa while pleading for better grades. This year, the event will be followed by Celebrating the Green, a performance by the jazz band and a staged reading by the theater company at 8:15 p.m. in Peters Theater. Another Jewell favorite is the College Union Activities winter formal. Sure to be a fun night of free food, formal wear and dancing you’ll be embarrassed about the next day, the event is Dec. 8 at Crowne Plaza Hotel from 9 p.m. until 12 a.m. It’s a great excuse to dress up with your pals, head to Kansas City and relax a little before finals week hits. The final Jewell holiday tradition, which is frankly becoming more and more a legend than reality, is the infamous sledding down Browning Bowl. While I have yet to witness enough snow on the Hill to see this happen, I hear it can be quite the ordeal. Having walked down the Hill to my car in the Sahara this semester, I can only imagine how much more efficient a sled would be. So, if the weather decides to get cold enough in the next few weeks, I expect to see you all zooming down the Hill on a borrowed caf tray.